Tournament has the largest Oceania prize pool so far. 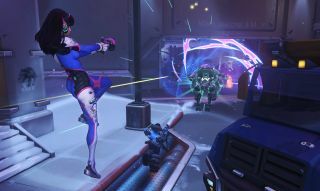 If you’re eager to watch some high level Overwatch play in the lead up to Blizzard’s official World Cup finals in November, the Heroes League Season One tournament finals kick off this weekend. The Oceania-based league will host its finals starting 4pm AEST on Saturday, and will broadcast live from an Auckland studio. Competing teams are the top 8 from the League’s regular Swiss season, selected from 40 teams, with Chiefs ESC and AVANT GARDE among the finalists. The prize pool amounts to $3000 – $2400 for the winning team, and $600 for the runner up. That’s the largest prize pool for an Oceanic Overwatch tournament thus far. The double elimination tournament will take place over two weekends, and will feature casting from League of Legends commentator Pixie, and Team Fortress 2 expert Avril.